How does it work and what are the broad issues? In general, they all create a local folder on your PC or device which syncs with an online version on the Provider's server – just like when you copy a file to another folder but via the internet. This can be done on the fly as you work or you can sync when you want. What it means, though, is that your files are available online or offline because you may want to edit the files when you don't have internet access. If you do this then the updated files will be synchronised when you next go back on line. I found it interesting to read the comparisons about the different offerings and I've put it all together in a table down below. Hope this is useful to you all! 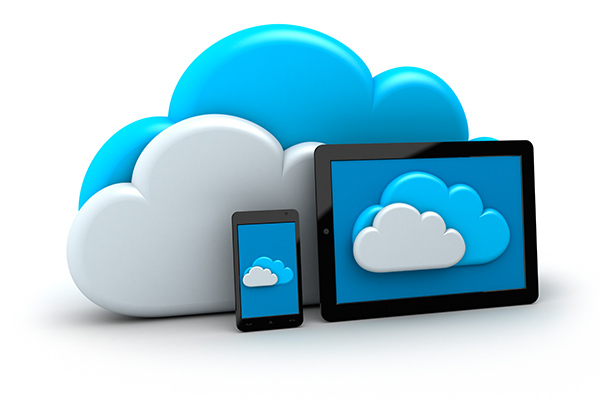 There are more than a dozen providers to choose from, but I've decided to compare the big four – DropBox, MicroSoft OneDrive, Google Drive and Apple iCloud. These offer Free storage options ranging from 2GB to 15GB typically and if you are a home user then this will probably be OK for you. If you need more space then you will have to spend some money to upgrade and to take advantage you can pay annually or monthly. Of course, we've always been able to back up to an external hard drive as an alternative. However, this still brings up the question about being happy with the risk of susceptibility to damage or loss or even data corruption. Financial considerations aside, cloud storage wins it for me because of the convenience of being able to access my files from anywhere on a range of devices. And I've had only a very few minor issues to deal with - nothing serious. But I have had hardware disasters that have given me a real headache. • Might prefer another player? The next list explains a few of the abbreviations and technical words I used in the above. Translates data with secret code or key to achieve data security. A secret key or password used to encrypt/decrypt the data. Extremely secure encryption system preferred by governments, banks and other high security organisations around the world. The data is encrypted using blockciphers (blocks of 16 bytes) repeated several times before transmission. So secure that a powerful supercomputer would take billions of years to crack it! Encryption keys change often while encrypting/decrypting meaning only a small portion of data is exposed if latest key is compromised. Provides encrypted link between web server and browser to keep data private and secure. Two keys used and checks the activity is trustworthy. Provide documentary evidence of activities affecting data security. Phew! I hope that wasn't too technical. As I said, there are a few more players that I haven't looked at but I think there is more than enough above to get you thinking. That’s it for now. Don’t get your heads stuck in the clouds!